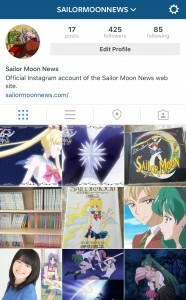 You can now keep up with your favourite Sailor Moon site on Instagram. News updates to the site have long since been shared to Facebook, Twitter, Google Plus and tumblr and we’re happy to share that you can now follow us on Instagram by following the user sailormoonnews. I hesitated to set up an Instagram account for the site years ago because the platform is so fundamentally different than others and I was unable to share actual post links to it. 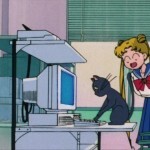 After chatting with a friend, the admin of the very popular Sailor Moon Screen Caps account, about her success she suggested that I needed to set up an Instagram account for the site! I did this about a week ago and the account has already been quite successful, surpassing the number of followers to my personal account in about a day. Could people care that much more about Sailor Moon than they do my cats? Expect to see slightly different kinds of posts to my Instagram account than you would see elsewhere, just because it’s more about photos than actual links. Most updates will relate to new posts to the site but I will occasionally share photos of stuff I see that don’t necessarily warrant a full blog post. As always the links to all social networking accounts can be found on the sidebar on the left of the main page. I try to keep up with all of them though this isn’t always convenient. Twitter is always updated with new posts because it’s automatic. Facebook, Google Plus and tumblr are updated manually, though Facebook gets the priority as it seems reach more people. If you’re still wondering what the best social networking service to follow the site on, you just have to follow us on all of them! Is this Sailor Moon personal organizer giving us bad news? This entry was posted in Meta and tagged Instagram by Adam. Bookmark the permalink. I’ll check it out the next time I’m on the app. 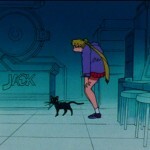 Will your fellow co hosts at Reality Check be amazed you can devote even more time to blogging about Sailor Moon? 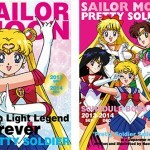 They pay little attention to such side projects as my Sailor Moon site and full time job.